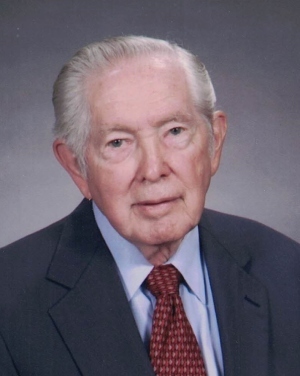 Funeral service for Willard Wayne "Bill" Brett, age 91, of Decatur, will be Saturday, January 19, 2019, 2:00 p.m. at Shelton Funeral Home Chapel with Rev. Dr. Jackie Kay, Rev. Craig Carlisle, and Rev. Matt Haines officiating. The family will receive friends for one hour prior to service. Interment will be in East Lawrence Memorial Gardens. Mr. Brett, who died Thursday, January 17, 2019, at his residence, was born June 1, 1927, in Hollins, AL, to Thomas E. Brett and Annie Pippen Brett. Mr. Brett joined the U. S. Navy during WWII, and served in the Pacific Theater. He attended UAB where he studied accounting for three years. Following 38 years of service, he retired from Sonat in Birmingham. He was a former member and deacon at Dawson Memorial Baptist Church; following the family move to Decatur, he joined Central Park Baptist in January, 1997, where he served as deacon and Sunday school teacher until he became disabled due to Parkinson's disease. He is survived by his loving wife, Peggy Murray Brett of Decatur; one son, Wayne Brett of Decatur; two daughters, Diane Brett Frey of Springfield, TN, and Karen Wynn (Mike) of Decatur; four grandchildren, Lauren Richert (Christine) of Nashville, TN, Jarod Richert of Nashville, TN, Chelsey Bellamy (Justin) of Priceville, and Cody Wynn of Decatur; and two great-grandchildren, Brooklyn Bellamy and Carter Bellamy. Pallbearers will be Mike Wynn, Cody Wynn, Jarod Richert, Justin Bellamy, Gene Brett, and Henry Brett. The family would like to express their gratitude to their many friends for their expressions of concern and acts of kindness during his illness. Also, a special thanks to the caregivers of Southern Care Hospice for their wonderful care.